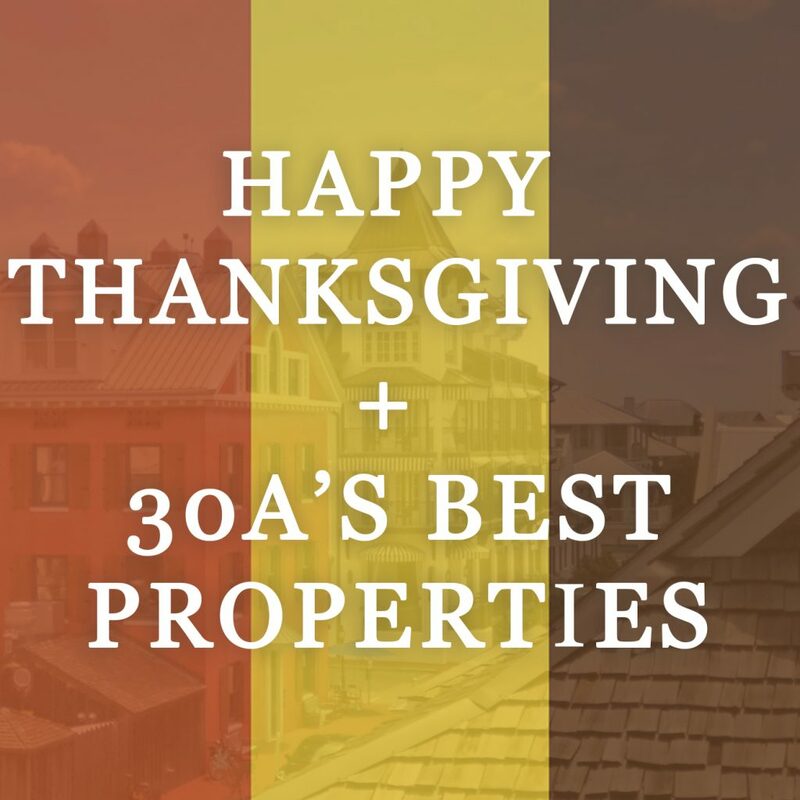 30A's Best Properties + Happy Thanksgiving! 30A’s Best Properties + Happy Thanksgiving! to all our 30A friends, customers, clients – present, past, and future! We are very thankful to be able to serve you! We hope you enjoy these awesome listings + Follow us on Social Media for other 30A real estate updates and happenings! Leave us a comment, or send us an email!